For several decades we provide cannabis-loving Den Bosch from our location near the station. The shop at the Emmaplein is the second oldest shop of the company. When the shop first opened it was still significantly less busy on the roads than it is now. More cars and customers has made parking much more difficult. The complete address of this location is Emmaplein 24a, ‘s-Hertogenbosch. Through this link you can get automatic driving directions in Google Maps. Everyone knows the saying ‘A good neighbour is better than a distant friend’. Therefore it is very important to us as The Grass Company to please the neighbours. To avoid inconvenience, we therefore have for some years a very strict parking policy at the Emmaplein. 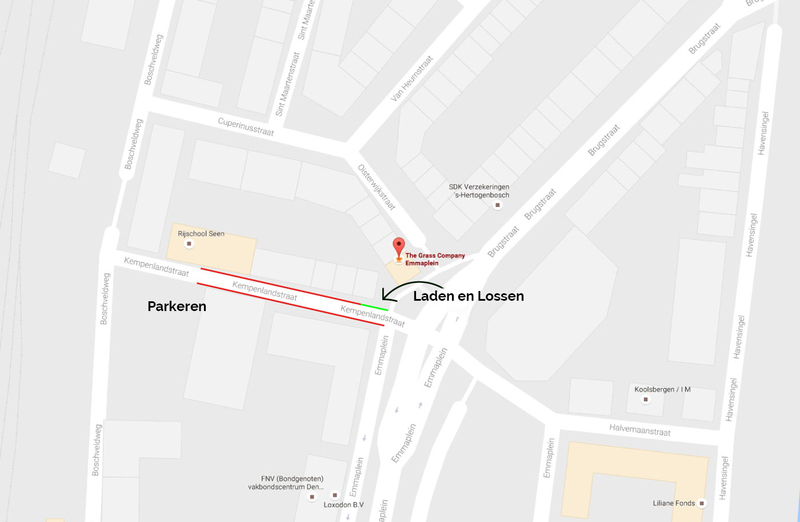 There is only one parking space in the Kempenlandstraat for guests of the shop. All other parking spaces in the street are for the neighbours. This is sometimes difficult, especially with the typical Dutch weather. Every problem has a solution, even in this case. About 50 metres away is a parking lot where there is enough space. By parking here you reduce the nuisance to the immediate neighbourhood, which we greatly appreciate. Therefore, we ask you to park in the designated areas.